His picture jumped out at me right away. His giant brown eyes couldn’t be ignored, and I knew he was the one for me. 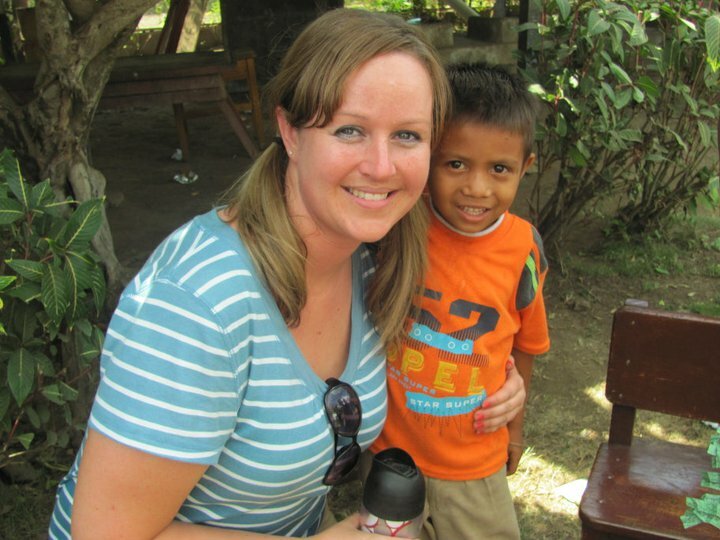 “Mayrober” was his name, and he would be my sponsor child from Nicaragua. 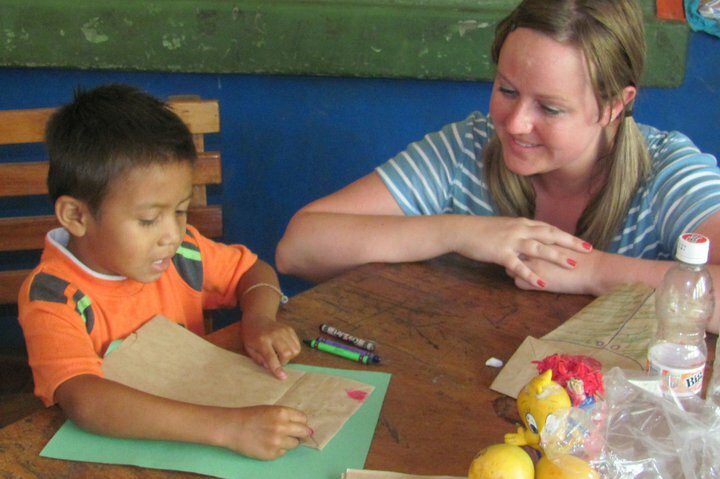 That was a few months before I went to Terrencio, Nicaragua on a church mission trip, and many of us felt led to sponsor a child from the village through Food for the Hungry. All I knew about Mayrober at the time was that he was five years old and liked to draw. 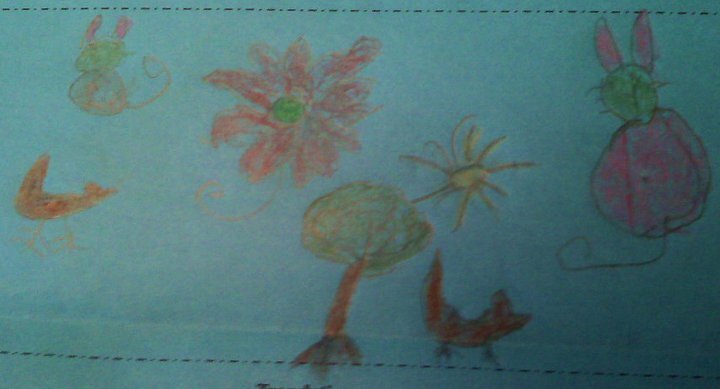 My heart danced when I got my first drawing from Mayrober, and I could hardly wait to meet the little guy on our trip. When the day came that I would meet Mayrober, I was a little nervous. OK, I was horrified. For four months he had been a piece of paper, a beautiful picture of a child who lived worlds away in poverty. What on earth would I say to him? I knew some Spanish, but not a lot. 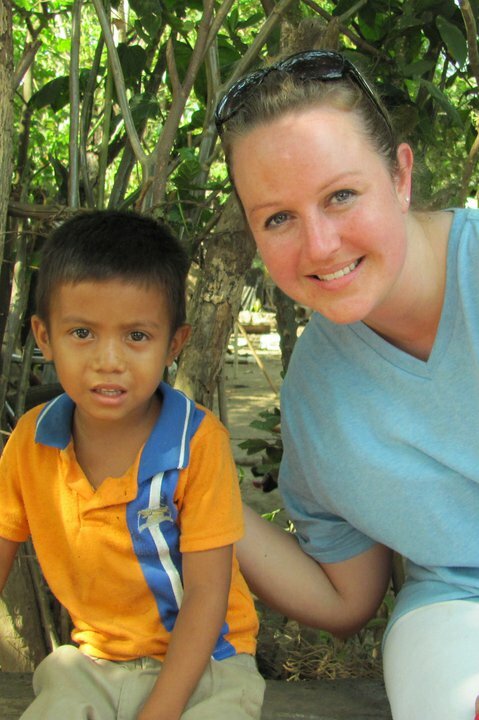 There would be a translator, but still, what do you say to a five-year-old living in poverty? He doesn’t have a favorite television show or cartoon character. He doesn’t follow a basketball team or play video games. But aside from all of that, I was excited beyond words. Others in our group had met their sponsor kids the day before and had awesome stories about how the kids jumped into their arms and thanked them for writing and sponsoring them. I was so excited for my “moment” with Mayrober! When we arrived at Mayrober’s home he was sitting in a plastic chair outside. 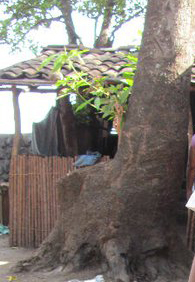 Their home was like a hut- it had some sort of roof made of random materials and a couple of walls made of sticks. Mayrober’s mother stood behind and the translator introduced us all. Mayrober didn’t jump into my arms, he didn’t even smile. Mayrober looked at me like a scared child looking at Santa. He just looked at me and didn’t even blink. It was like he was trying to figure out if he wanted to cry or run away. He whispered a tiny, “Bien,” meaning he was doing well. That’s how the next ten minutes went. I would ask a question, he wouldn’t resond, his mom would make him, and he would have a one word answer. I wanted a picture, but Mayrober was afraid. His mom had to pick him up and put him beside me. I went to put my arm around him and he leaned away from me. It was official: my sponsor child hated me. When I got back to the bus where everyone on our mission team was waiting, they were so excited to hear about my experience. I told them how terrible it was, and they tried to make me feel better by saying he was younger than their sponsor kids, that he must just be really shy, etc. etc., but I was still heartbroken. On the drive away from the village and back to Managua, I got tears in my eyes wondering why things went so poorly. A few days later was the final day of Vacation Bible School that we were leading in the village. I was assigned the job of helping the kids make paper bag puppets. 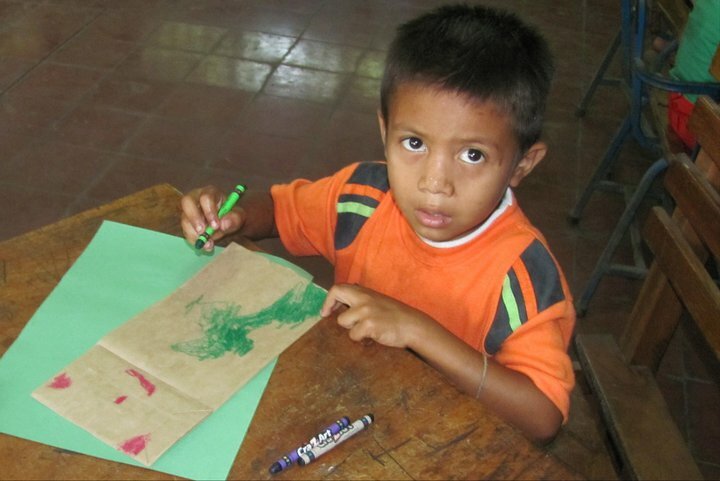 We had crayons, pipe cleaners, googly eyes and all sorts of things the kids could glue on their paper bags. Seems like a simple craft, but these kids looked like they had never seen or done anything so fun and amazing. They were in heaven making their puppets. With only about 20 minutes left, I saw Mayrober walk into the “classroom.” He saw me and kind of smiled but then noticed that all the seats were taken… except one at the front of the classroom, right beside me where I was hanging out glue sticks. It was my happiest moment of the trip, to be sitting next to him, helping him make his puppet and seeing him smile. He hung around with me even after the puppet-making class. Everyone was to go over to the village church after activities, and Mayrober walked with me. I knew it was the perfect opportunity for a much better picture than the one we’d taken a few days earlier. Sure enough, Mayrober had no problems giving a big smile as I put my arm around him for a picture. We were buddies now, and he knew there was nothing for him to be afraid of. You always see these kids on television, the ones who have no home, barely any food and live in poverty. I can’t vouch for other organizations, but I can say that Food for the Hungry is legit. The money you pay for your sponsor child helps the entire community. I also learned that the money is only half of the impact you can have on a sponsor child. They love hearing from their sponsors back in the US! I’ve gotten endless drawings from Mayrober, and I love writing to him. Food for the Hungry takes care of the translation both ways. Meeting Mayrober was one of the greatest experiences of my life and I will continue to support him for as long as the program allows (until he is 18). I write to him, support him, and pray for him. While things didn’t start off the best between us, I am so happy that we eventually got to spend some time together and that he was genuinely happy to meet me. Ohhhh… That’s good of you, may the Almighty God bless and reward you more. I;m really touched.